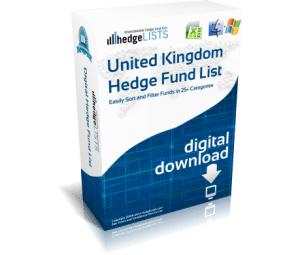 The Real Estate Hedge Fund List contains detailed contact information for more than 340 real estate hedge funds throughout the world including, the US, UK, Switzerland, China, Japan, and more. Includes the top real estate hedge funds as well smaller boutique funds. 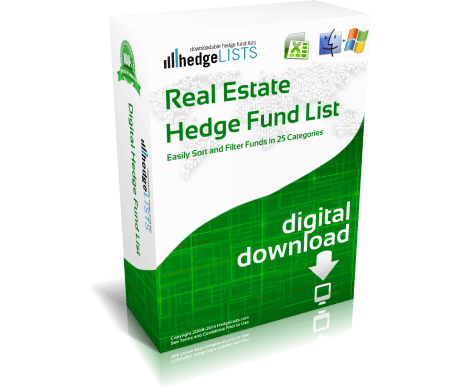 Download this detailed list of real estate hedge fund managers in .xls (Excel) and .csv format. Best real estate hedge fund list! My only minor issue is a few of the emails bounced. But for the most part was very good. As a real estate developer/investor, have been searching for something like this for ages. Perfect prospecting tool! Love that it’s in Excel. Tons of info including emails. Best hedge fund list!